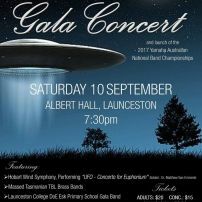 Photos of the City of Launceston RSL Band & its members in the Tasmanian Community & at State & National Contests. 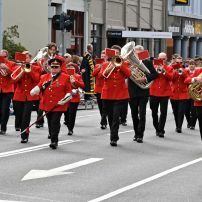 New brass, percussion & support members are welcome at any time - collect your red jacket & join our B Grade Band or learn to play in our Beginner Band! Contact Peter Grossman (Secretary) on 0419 889 010 for more information. 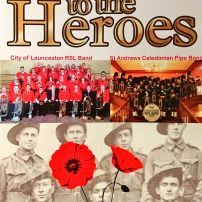 City of Launceston RSL Band Inc. 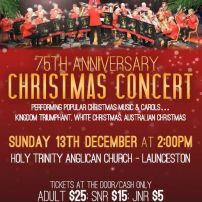 The City of Launceston RSL Band celebrated it's 75th year in 2015. 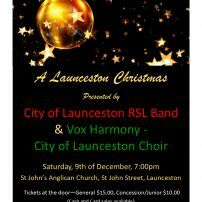 We are a community brass band playing and marching for the people of Launceston and the surrounding areas. If you would like to book the full band, an ensemble or bugler for your event, please contact Peter Grossman (Secretary) on 0419 889 010, or email colrslband@gmail.com for more information. 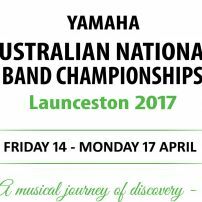 commented on "on the 11th November we will be partaking in the Longford ceremonies for Remembrance day: ..."
commented on "The band is excited to announce they are the current Tasmanian State B Grade Champions. We are super excited to now be on the road ..."